Fairytale Beginnings & Farm Barbie... Yes, It Is the Farm A toZ! 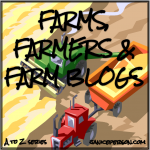 I’m not sure that we could find two more complimentary farm blogs to feature in a day…. Fairytale Beginnings & Farm Barbie? That doesn’t exactly sound like part of a farm series…. Feedyard Foodie puts two things together that don’t seem exactly to go together, but they do! Remember not all farms are the same! I am in charge of the cattle side of the farm where we grow beef. My husband runs the other part of the farm where he grows alfalfa, corn, and a few soybeans as well as running an alfalfa dehydration plant. I was lucky enough to marry into agriculture. I met my favorite farmer in October of 1993 and we married in June of 1996. We made the life choice to leave the city and move back to the farm in June of 1997 looking to make a life in rural America. Today we spend our days caring for our three daughters, 3000 cattle, 5000 acres of farm ground, five cats, five Rhode Island Red laying chickens, two horses, and one very spoiled dog. While I love many things about farming, the one that I cherish most is the gift of togetherness that we have built on the farm. My husband and I not only live and love together, but we also work together – proudly raising our children, our crops, and our animals. 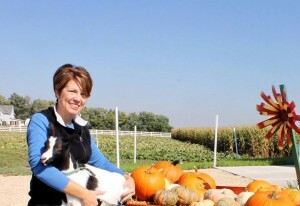 Shannon Latham is a wife, mother and entrepreneur for whom her Enchanted Acres pumpkin patch in Sheffield, Iowa is a dream come true. It is what led her to name her blog Fairytale Beginnings and Everyday Realities. Shannon is able to combine her love for the outdoors and animals with a passion for writing and advocating. She says she really enjoys sharing some of life’s simple pleasures with those who visit the farm in the fall. I grow a lot of pumpkins! I also grow alfalfa that produces hay for my goats and oats that provide straw for livestock bedding. Small straw bales also are used for fall decorations. In addition, I raise goats and two types of chickens. Our laying hens provide farm fresh eggs, and our broilers are sold to others for meat. 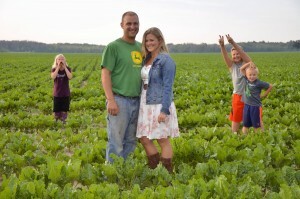 Enchanted Acres wants to help families create magical memories as they enjoy spending quality time on our little farm. Each weekend during the fall, we offer make-and-take workshops including painted pumpkins, glitter pumpkins and modge podge pumpkins. The best part for parents is that the mess stays in our barn, and they get to take home a completed craft! We also offer story time where the book that is read, the craft that is made and snack that is served are related to a theme. We’ll also host field trips for preschool classes, home school groups and care center residents to learn about the pumpkin circle. We talk about how pumpkins begin as a seed and return to seed plus we serve pumpkin snacks, so they can make the connection between the fruit in our field and the food on their tables. We create hands-on experiences for our visitors from picking their own pumpkins to feeding goats and firing the pumpkin cannon. But that’s about as commercial as we get! You won’t find elaborate play systems or giant jumping pillows here… Children are encouraged to use their imaginations on our playground, and families are invited walk through our magical forest. We also offer hayrides and the opportunity for guests to make their own campfire s’mores. I enjoyed a charmed childhood where the Easter Bunny delivered live bunnies and Santa Clause left baby goats or lambs in the barn. Like most farm kids, my family shared their love of farming with me. My parents were both raised on farms and wanted me to gain an appreciation for how food went from field to table. My family prided themselves in growing the food for our tables. There were many evenings when my dad would literally say, “We fed ourselves tonight.” Even though they both worked full-time off the farm, my parents planted large gardens each spring – and still do. They produce everything from tomatoes and potatoes to sweet corn, strawberries and watermelon. When I was growing up, my mom also raised broilers (meat chickens). My dad raised turkeys and enjoyed delivering a farm fresh turkey each Thanksgiving to our neighbors. My grandma kept us supplied with farm fresh eggs. My grandpa kept our freezer filled with the beef and pork that he raised. After my grandpa retired from farming, he made a large garden each spring. He and my grandma sold fresh produce at local farmers markets. They developed a reputation for growing the biggest, juiciest tomatoes. It’s no wonder that I’m such a strong supporter of locally grown, farm fresh foods. It’s what I was raised with and it’s where my comfort levels lies. I like knowing that the farmers who produce the eggs, pork or beef for my family’s table are also feeding that same protein to their own families. We are a centennial dairy farm in Michigan’s Thumb region. We also grow corn and hay, as feed for our cows, and cash crop wheat and sugar beets. We raise beef cattle as well. 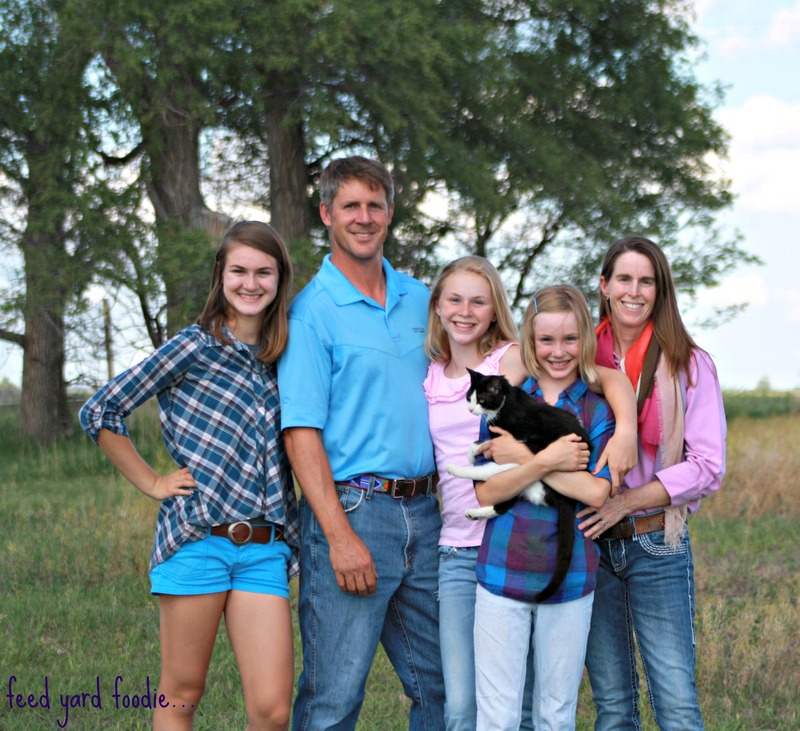 Our kids take care of a small flock of laying hens, and help feed calves. We recently retrofitted our free stall barn to accommodate four milking robots. Now, instead of our cows walking to a parlor to be milked twice a day, they can walk themselves to the robots and milk themselves whenever they want! I fell into agriculture by love. 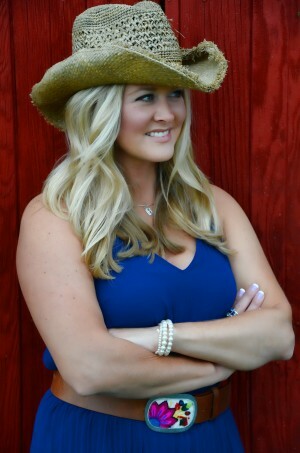 I was a sassy city girl bound for the big city till I met a smart, strong, handsome farm boy at college. Dorm dates turned into weekend trips back home to his family’s centennial farm, where I spent hours with him in the tractor, the milking parlor, or alongside his extended family at their frequent gatherings. I fell in love with him, certainly; but I also fell in love with his family, his community, and his occupation. After college, we married and moved “back home” to live where generations of Siemens’ had lived. We live on a dirt road miles from town, in the same house he grew up in, and the closest expressway is an hour away! I believe there are many great aspects about working in agriculture. I love raising a family in the country, and sleep well knowing we are providing people with quality food. We take great pride in what we do, and plan to continue this legacy for many years to come. Farming is definitely hard work, but I love this life. My husband has been my biggest supporter, just as I have been for him. Even though I can’t work outside on the farm, due to physical limitations, I have a supportive role on the farm. I take care of the bookwork in the office, take care of the kids and the homestead, and promote our farm and agriculture at large through social media. He accepts my limitations and encourages me to be successful any way I can. He’s Farm Barbie’s biggest fan! I love you honey! 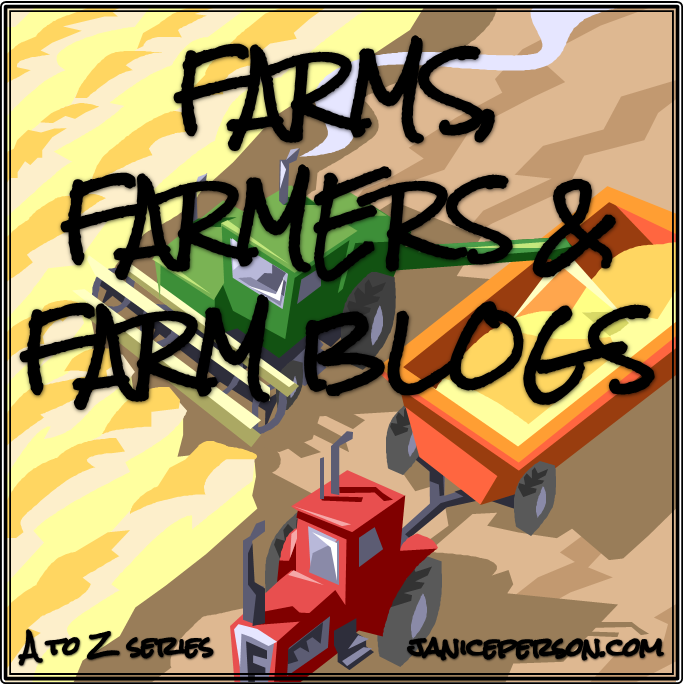 I kind of expected F to be a long post in my Farms, Farmers and Farm Blogs A to Z project. If you are enjoying this, you may also want to check out the A to Z on agriculture I did a few years ago! In that series, I provided thoughts on farmers in general for the letter F! Farm life is totally different from city life. I’ve lived both and now live in a village in a farming community. It’s a great life.